Deutsche Bank has found a new form of Libor shame. Germany’s biggest bank on April 23 agreed to pay a record $2.5 billion to settle with three U.S. authorities and the UK’s Financial Conduct Authority over rate-rigging misdeeds. On top of the actual fiddling, it misled the UK regulator. Part of the reason for the high sum – two-thirds more than UBS’s previous Libor record – is the age Deutsche took to provide evidence. Over the last three years, fines have inflated for rate-rigging as well as other offences. Not all the foot-dragging was intentional. A big part was played by the bank’s staggeringly decrepit systems, the subject of previous admonishment from U.S. regulators. The FCA says Deutsche’s antiquated audio platform stopped it from providing timely or comprehensive recordings of its traders. More spicily, Deutsche ended up destroying 482 tapes of phone calls the FCA had requested. Luckily for the bank, the UK regulator says this action was accidental, not willful: though Deutsche also provided inaccurate information about whether other records were available. Other parts of the charge sheet just seem bizarre. Deutsche was unable to say which traders had executed given trades – surprising for a bank whose traders tend to equate their own social status with their daily P&L. Then there’s its late decision to hire outside help to process the forensic requests for data. Unsurprisingly, that accelerated the review of what Deutsche says was 21 million electronic documents and 320,000 audio files. Either way, Deutsche’s worst sin is clear. It claimed to the FCA in September 2013 that it was unable to share a preliminary report by German regulator BaFin into Deutsche’s role in interbank rate-rigging – despite internal legal advice days earlier that no such restriction existed. At separate times, a compliance officer and a senior manager also misled the British Bankers’ Association, the non-regulatory body responsible for Libor setting, by falsely claiming that Deutsche’s Libor submissions had been audited and that it had never colluded to fix rates. This all adds up to acute cultural flaws. An upcoming fine for potential currency market manipulation could underscore these failings, or add new ones. The bank’s forthcoming strategy review isn’t the only renewal that Deutsche needs. U.S. and British regulators on April 23 fined Deutsche Bank a record $2.5 billion for rate-rigging and its UK subsidiary pleaded guilty to one count of wire fraud. The U.S. Department of Justice fined Deutsche $775 million, the Commodity Futures Trading Commission levied $800 million and the UK Financial Conduct Authority (FCA) doled out 227 million pounds ($341 million) in financial penalties. For the first time in a rate-rigging case, the New York State Department of Financial Services also brought sanctions, including levying a $600 million fine, requiring Deutsche to fire seven employees and install an independent monitor. The highest fine for rate-rigging previously had been the $1.5 billion levied on UBS in 2012. The FCA said its fine was so large because Deutsche Bank had misled the regulator, by claiming it could not provide a report commissioned by German watchdog BaFin and that it had adequate systems and controls in relation to Libor. It added that Deutsche failed to provide timely, accurate and complete information, in one case destroying in error 482 tapes of telephone calls. 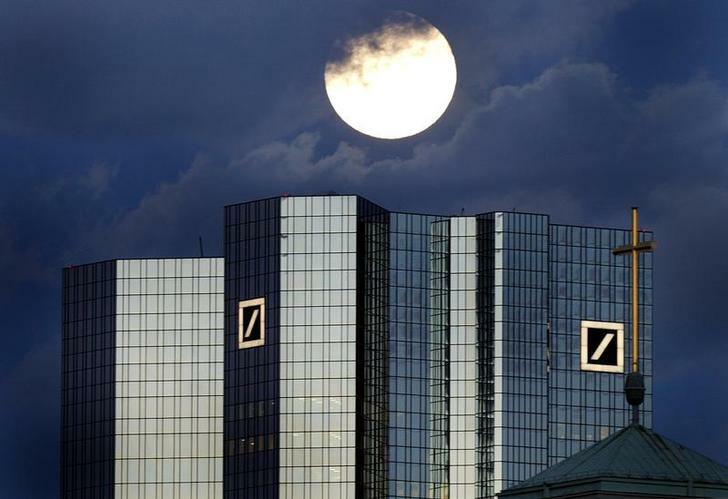 Deutsche Bank said on April 22 that it expected litigation costs of approximately 1.5 billion euros ($1.6 billion) for the first quarter, but that despite these costs it would be profitable and to report “near record” revenue. The bank reports first-quarter results on April 29.